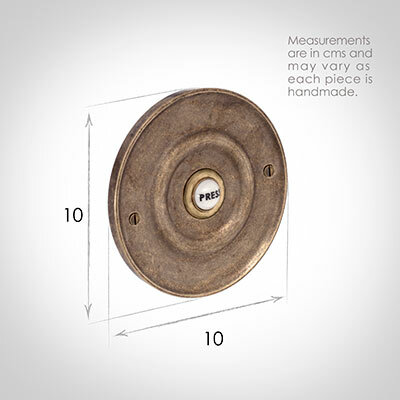 A classical solid brass doorbell cover. 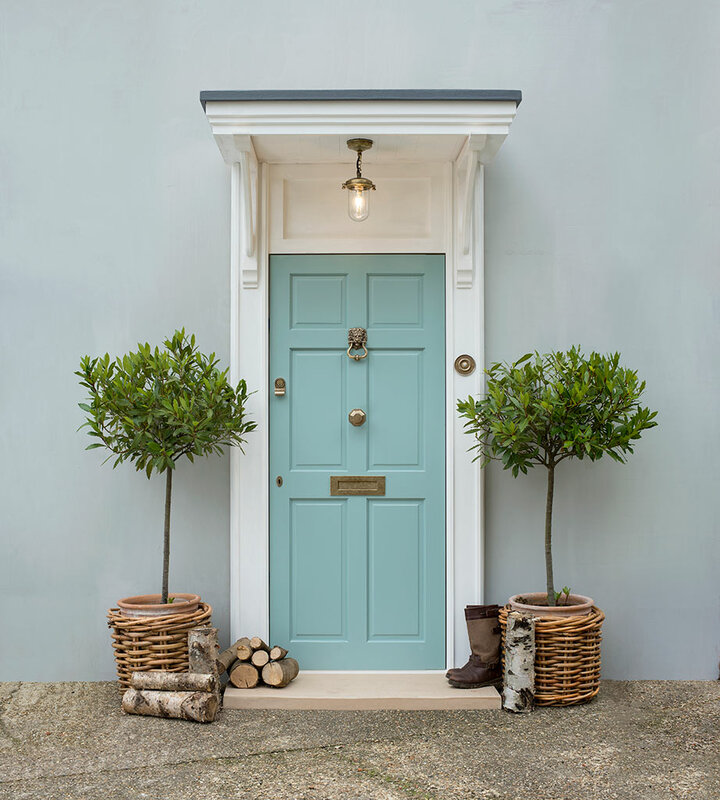 This traditional Jim Lawrence design can suit both contemporary and period properties. 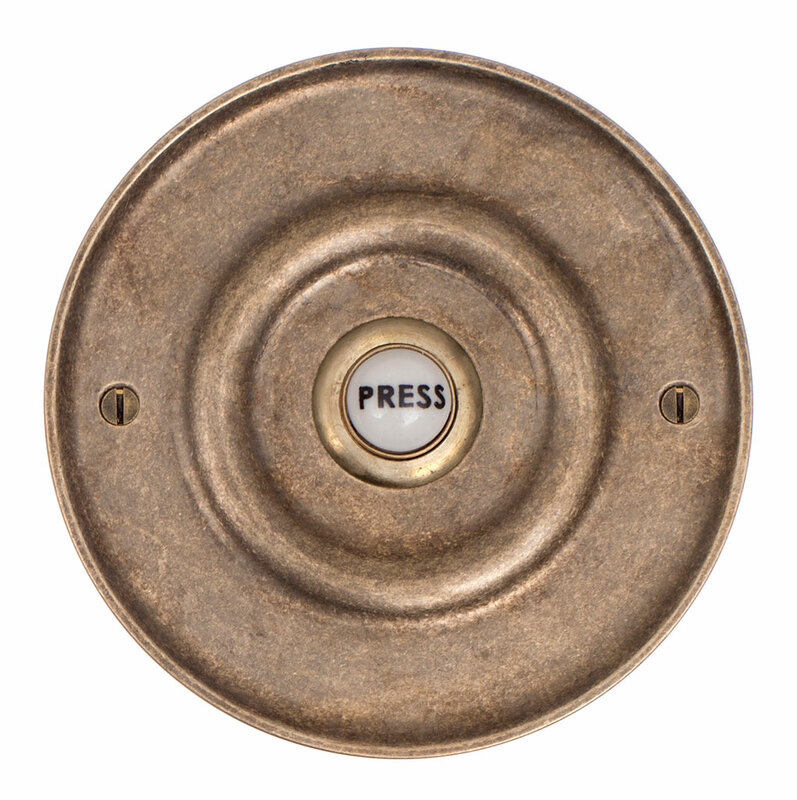 This door button accentuates a feeling of luxury that is not visually overwhelming but will complement any door. 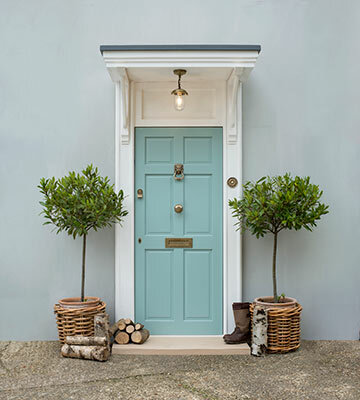 It's a simple design that is practical but also sophisticated and stylish. Our antiqued brass finish ensures a timeless elegance, perfectly completing the entrance to your home. 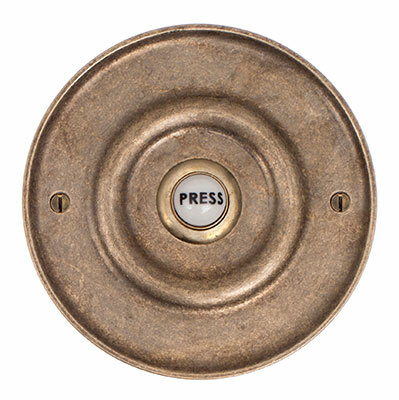 This solid brass door push is suitable for use with a wired battery-operated bell system or transformer system supplied by mains 230v (not supplied). 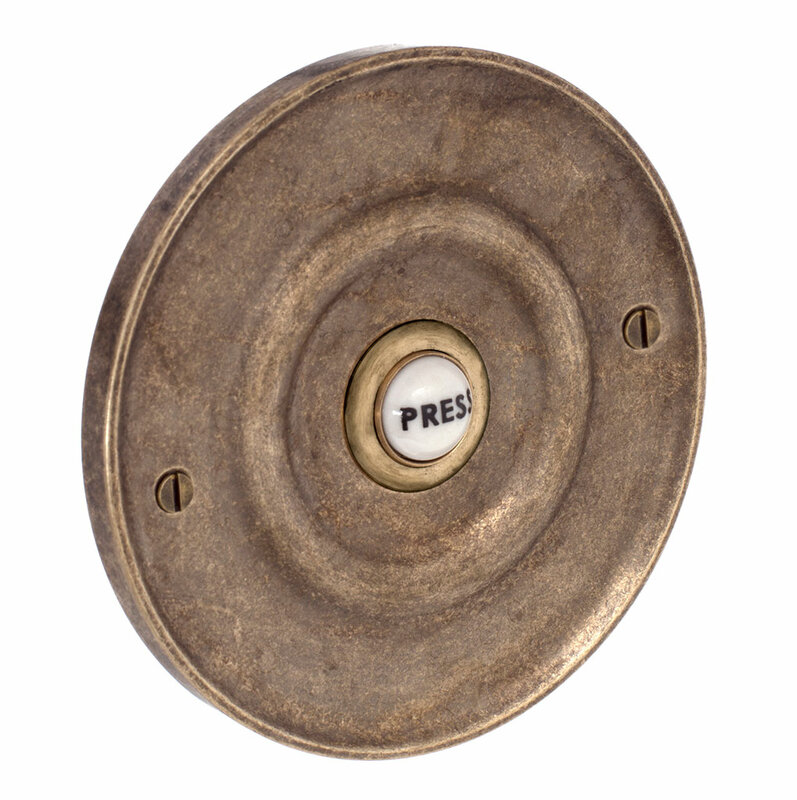 The Brass Door Bell is available in antiqued brass, polished brass, matt black, nickel and polished, click here to see the range. 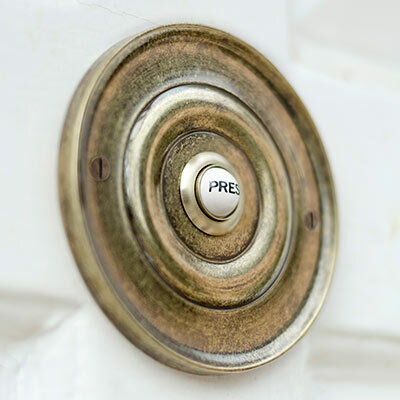 We recently renovated our home and this was the last part to be fixed. What a fantastic piece, it really does have that charm and high quality finish I would expect from Jim Lawrence. 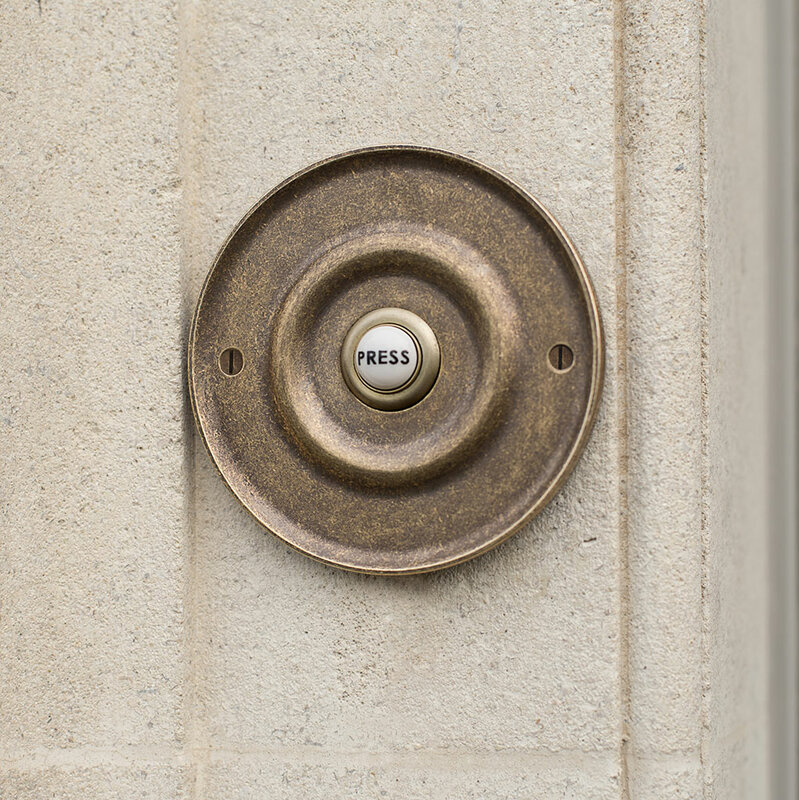 Very happy indeed.